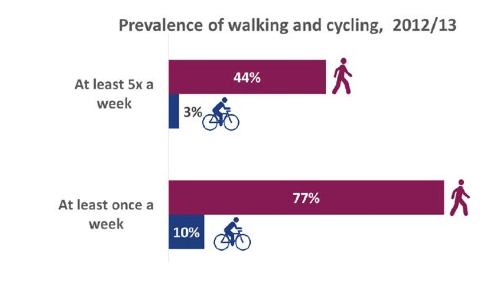 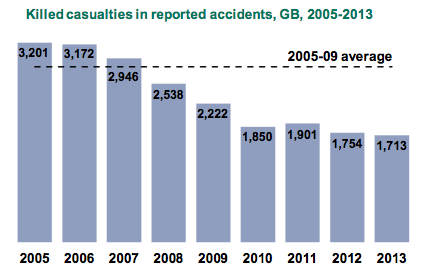 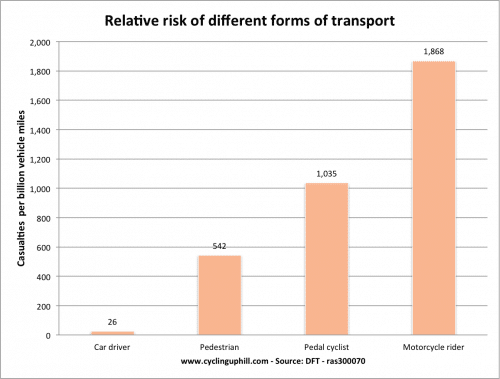 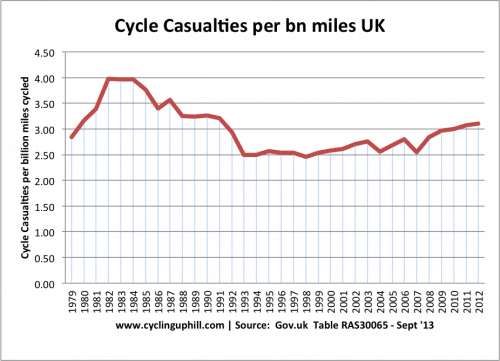 According to the Department of Transport, The prevalence of cycling in England (at least once a month) reduced from 15.3% to 14.7% in the year to October 2013. 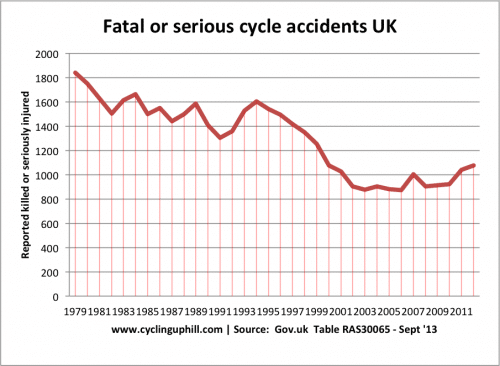 This decline in reported cycling rates is disappointing given cycling’s relatively high profile in the past couple of years. 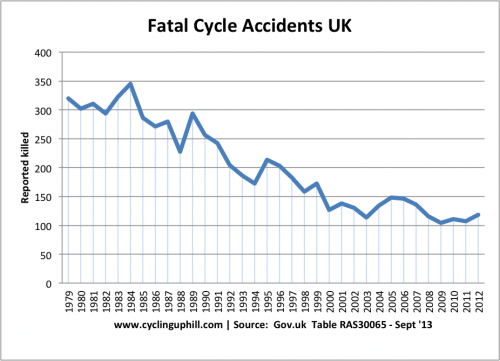 The fall in cycle rates could be attributed to several factors. 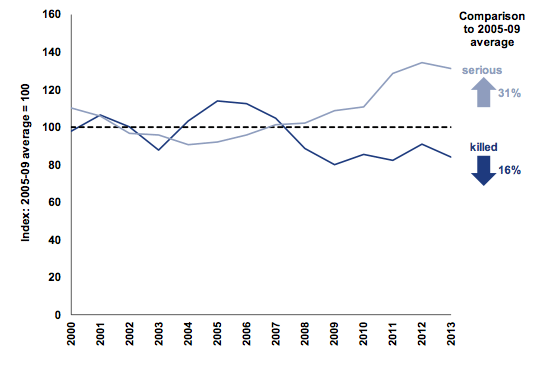 End of recession and relatively lower petrol prices. 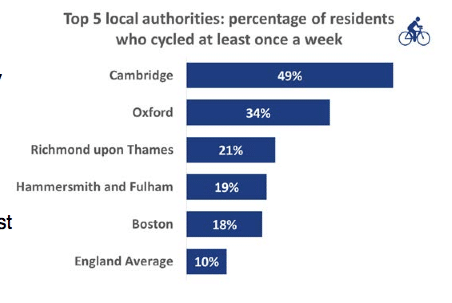 Oxford is the second most popular borough for cycling, despite having no co-ordinated cycling infrastructure.